A Russian newspaper has reported that "over a hundred men" were recently detained in the Chechen Republic and at least three killed because of their possible homosexuality. A spokesman for the Chechen leader has denied the reports. The report on alleged detentions and killings was published on Saturday by Novaya Gazeta. Citing "a big number" of unnamed sources in the Chechen interior ministry, president's administration, prosecutor's office and the local LGBT community, it said "mass detentions" of men who are gay or are "suspected" of being gay have occurred in Chechnya recently. The report resonated in the media and social media. On Sunday, an LGBT activist in St. Petersburg reportedly handcuffed himself to the Akhmat Kadyrov bridge, named after the former Chechen leader, to protest the alleged persecution in Chechnya. Having called the report "an absolute lie," Chechen leader Ramzan Kadyrov's spokesman, Alvi Karimov told Interfax news agency that "one cannot detain or persecute someone who simply does not exist in the republic." The Chechen official said the publication was "an attempt to slander the Chechen republic," having also criticized the report's sources, saying that men who work for Chechen law enforcement do not hide behind an anonymous source reference. The head of Chechen interior ministry's press service, Magomed Deniev, told RBC media company that he had had no information on any such detentions and suggested the report might have been "an April Fools' joke." Commenting on the report to RIA Novosti news agency, Karimov said that "men in Chechnya lead a healthy lifestyle, practice sports and have only one [sexual] orientation, defined since humankind creation. "There are no other orientations in Chechnya," he told RIA, adding that his statement is supported by "high birth rate" in the region. "If there were such people [gays] in Chechnya, law enforcement would not have any issues with them, because their relatives themselves would be sending them to places, from where no one returns," the official told Interfax. The report in Novaya Gazeta also mentioned that LGBT community members in Chechnya "face a threat from their own relatives," as an old tradition of an "honor killing" still exists in the North Caucasus republic. The report suggested the alleged persecution of the LGBT community might be linked to a recent activity of the GayRussia.ru project in the region. 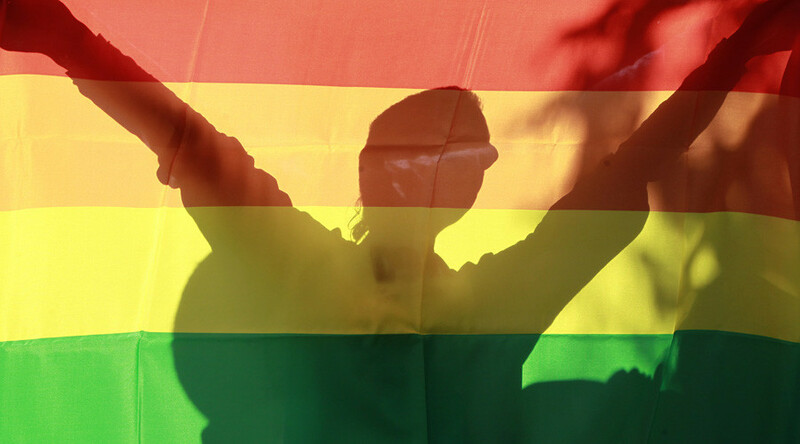 In March, representatives of the Russian LGBT community project, headed by Moscow activist Nikolay Alekseev, submitted papers to authorities of several cities in the North Caucasus to organize gay parades there. The activists "predictably" did not receive permissions to organize such LGBT events, the newspaper said, adding that the project has been collecting denial papers to submit complaints to the European court of human rights seeking financial compensation. Alekseev's project actions might have "provoked persecutions of local LGBT members" in the region, the report suggested. However, having confronted the activist with the issue, the journalists were told that the media was "speculating with unverified information" and that he personally wasn't aware of any persecution. Novaya Gazeta said it would appeal to Russia's investigative committee and general prosecutor's office to launch an investigation of the alleged killings.